Looking for a sunset you can hold in your hands and watch for longer than 30 minutes? A simple glass cylinder helps showcase birds of paradise, Asiatic Lilies, Solidago, roses, orchids with tropical foliage, branch material. 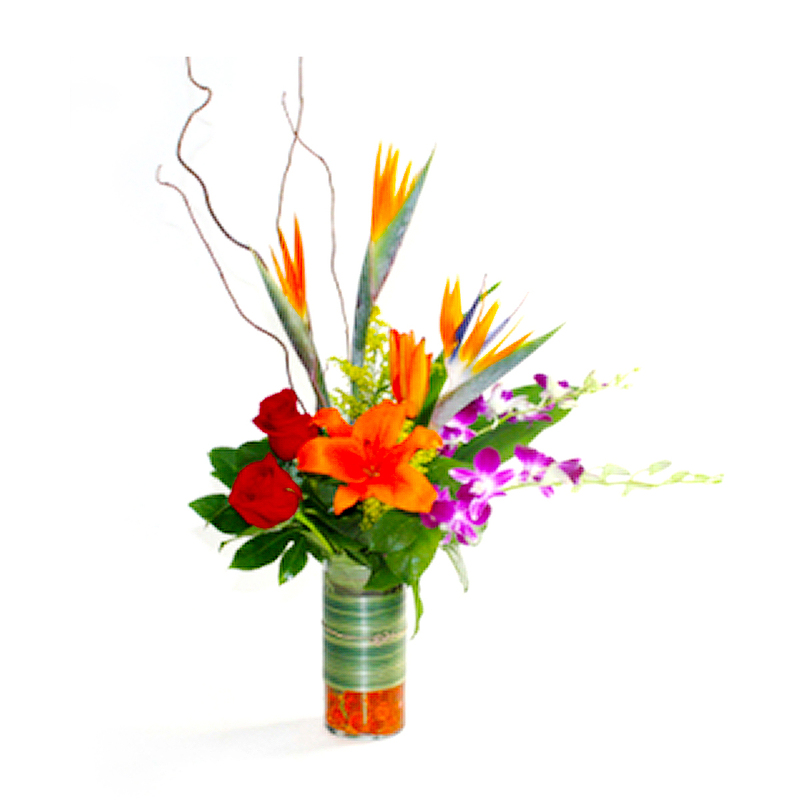 Energetic and Warm is what this bouquet says. Due to the availability and freshness quality standard of some flowers and containers we may substitute item type and color to give the same feeling and look of the arrangement you have chosen.